Weekdays tend to be busy for our family. Because of this, weekends are sacred. This is the time when we intentionally relax, recharge, and reconnect within the four walls of our home. We purposely say no to extra activities on the weekend, and focus our attention on our family and home. 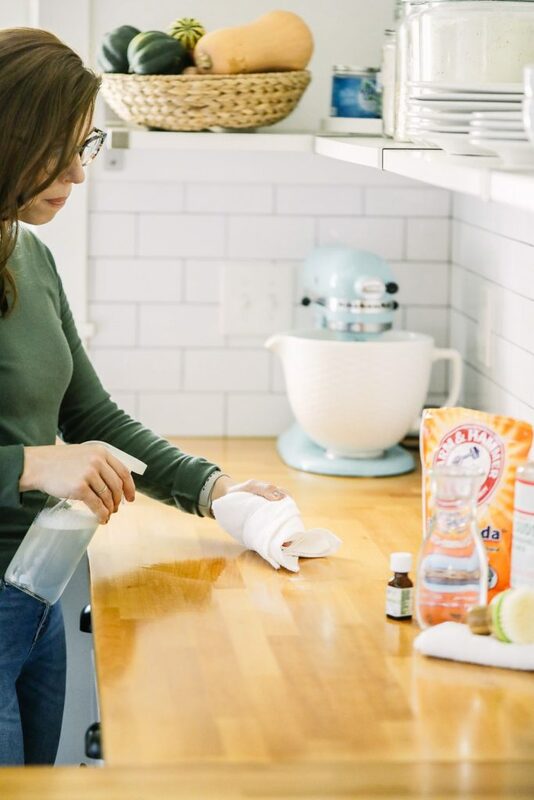 On Sunday, we spend time prepping for the week ahead: cleaning our home, meal planning, and preparing food options for breakfast and/or lunch. This intentional prep helps our week, particularly the beginning of the week, feel more organized. Knowing that our home is clean, the car has a full tank of gas, and there’s at least something that can go in the kids’ lunchboxes is an incredible way to start the week. I’m not just surviving and letting life happen to me; instead, I’m being intentional about how I am living. 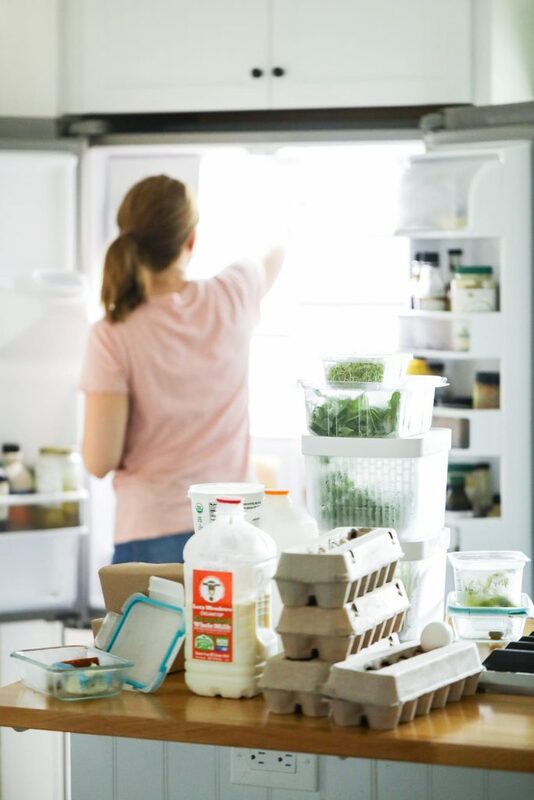 Occasionally, on Sunday–while we’re cleaning our home–I’ll open my Instagram App and share the tending routine that’s printed out and attached to our fridge. Every time I share this sheet, I receive messages from reader friends asking for this printable. Today, I’m finally sharing it here on the blog. 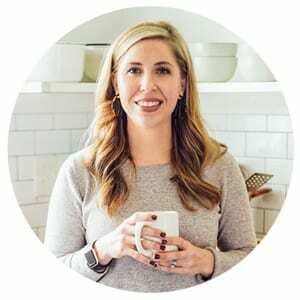 Have you ever walked around your home, with the goal of cleaning and preparing your space for the week ahead, but instead you just wander aimlessly from room to room? This wandering usually causes me to feel overwhelmed, which ultimately leads to being distracted by tasks that aren’t important (hello, Facebook!). This sheet was created after I experienced one too many wandering sessions. 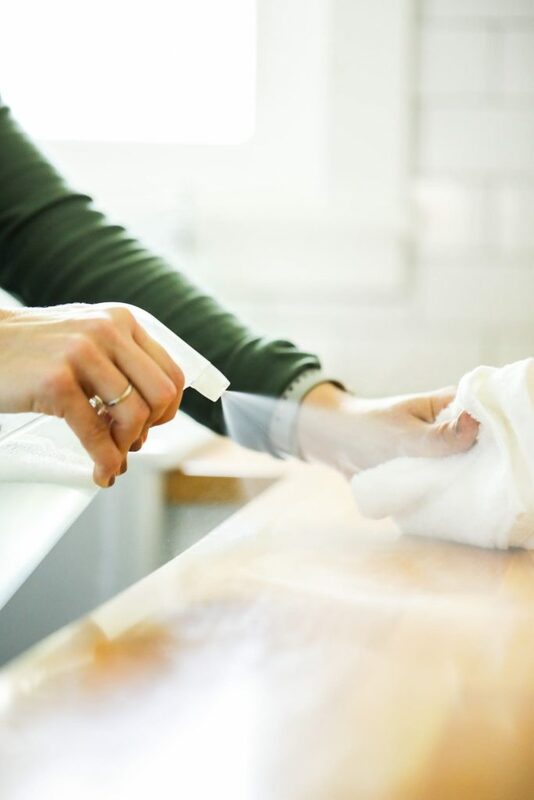 A tending sheet helps to simplify the task of cleaning and tending to a home by making it an intentional, purposeful activity. The sheet may be cut up, pasted on notecards, and passed out to each family member (the joy of having older kids). Each family member can easily take responsibility for a particular space. If you have younger kids (not reading yet), you could even draw pictures for each age-appropriate task. I haven’t laminated my sheet yet, but if you go the notecard route I recommend doing this. 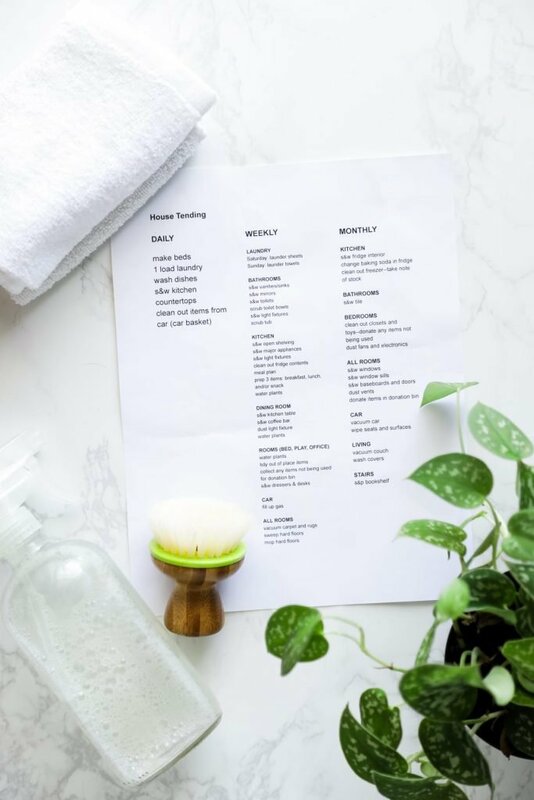 If you’re solo cleaning, use this sheet to keep you focused on the important tasks. I encourage you to sit down and think about what should go on your tending sheet. 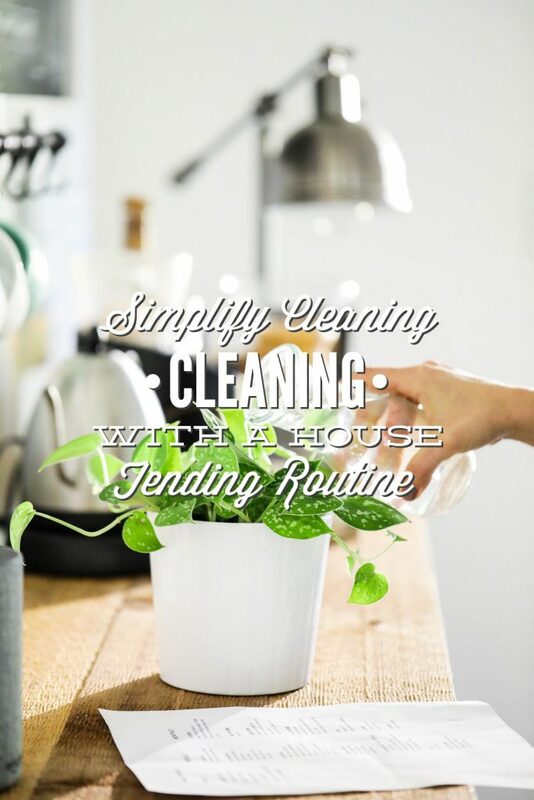 Think about when you should tend to these tasks to keep your home and life simple. For me, this means tending to some activities on a daily basis: laundry (in the morning and then putting it away at night to prevent a mountain of laundry on the weekend), washing the dishes, cleaning the kitchen countertops (by the end of the day), and cleaning out my car (using the car basket). Other activities are (ideally) tended to weekly, but these tend to take place once a week or twice a month–depending on the season of life. Monthly activities are the tasks that aren’t super important, but still need tending every so often. Also, s&w on my sheet stands for, spray and wipe. Keep this in mind: The goal isn’t perfection. The goal is simplifying necessary tasks with the ultimate goal of simplifying life. I’ve never stopped to think about this, but it definitely makes sense. Love the post, thanks for sharing with us! This may be silly, but what does “s&w” stand for? Hey Ann, Spray and wipe :).